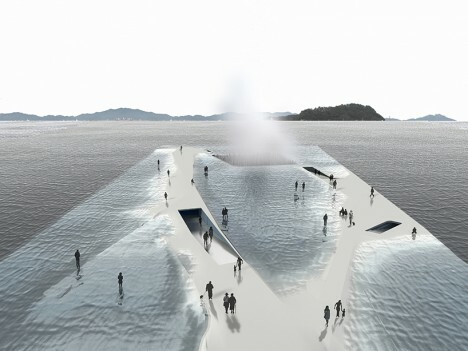 Walk right out onto the surface of the sea or follow a path that takes you into a tranquil space beneath the waves at the ‘Thematic Pavilion,’ a mostly-submerged nautical exhibition space envisioned for South Korea. 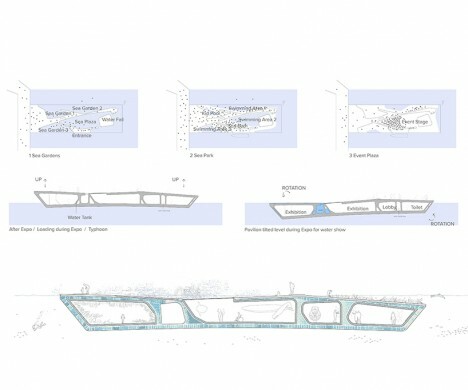 Daniel Valle Architects intentionally give the structure an uneasy, delicate sense of equilibrium with the water, drawing parallels to the realities many coastal communities could face in the not-so-distant future as sea levels rise. 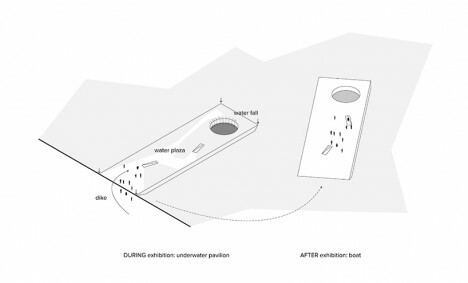 A visitor’s experience changes depending on the state of the water, with paths appearing and disappearing. 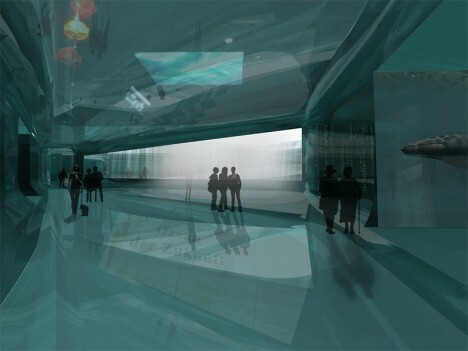 The pavilion features subtle raised areas offering clear paths that remain above the surface even when water levels are high and, presumably, when rocked by the wake of a nearby ship. 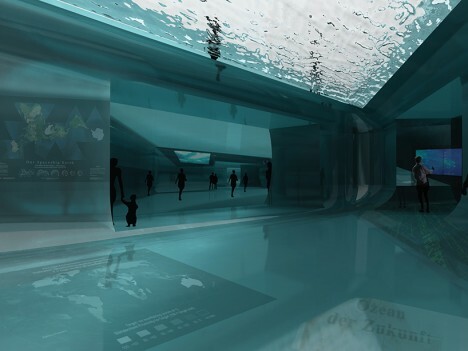 In much the same fashion as a submarine, a water tank keeps the ship-like structure submerged for exhibitions featuring water-based technologies, and raises it above the surface afterward so it can be used like an ordinary boat. 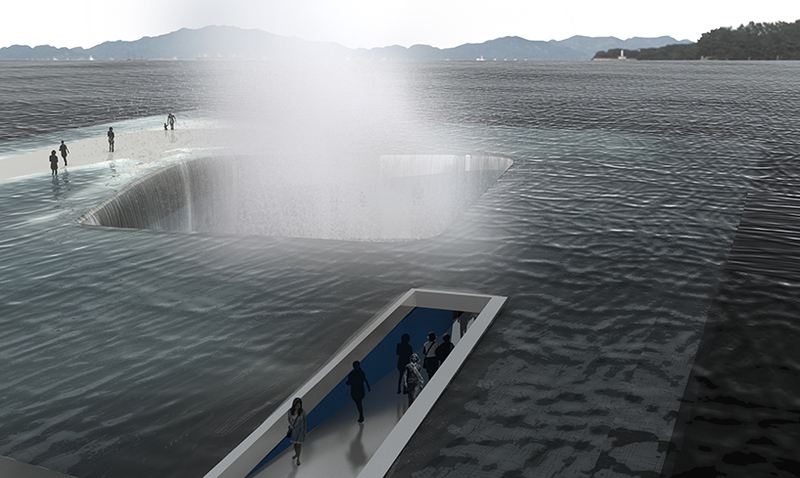 While it seems like a lack of railings could lead some people to walk right off the edge, people in other areas of the world don’t seem to require the same kind of safety hand-holding as Americans, so maybe they’d be fine. 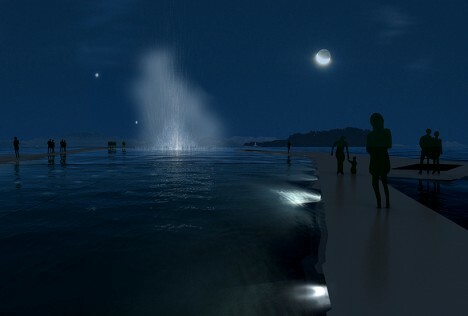 The renderings look especially cool after dark, with illuminated water spouts shooting up into the sky. 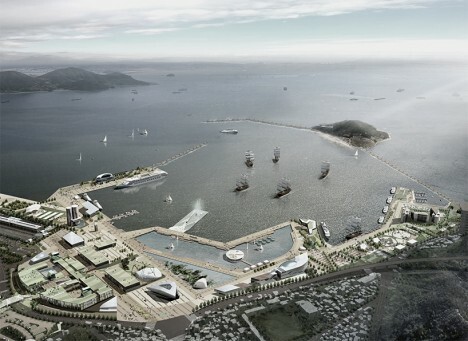 Though the proposal wasn’t chosen for the Expo 2012 in Yeosu, it’s an interesting idea that could provide inspiration to other structures blurring the lines between architecture and ship building.